Exceptional dentistry with personal, gentle patient care. Our team is dedicated to providing dental care based on your needs. We offer comprehensive general and cosmetic dentistry treatment. We welcome your questions! Our knowledgeable team is here to help. Getting started is simple. Call our office or connect with us online. Dr. Colangelo and his team are dedicated to providing you with a dental visit that exceeds your expectations in every way. We use some of the latest technology in our Grapevine office, combined with Dr. Colangelo's extensive experience, to help patients achieve their goals for their smiles. We provide high-quality dentistry you’re proud to show off. Our team is invested in providing beautiful smiles and offers an array of dental services from preventive dentistry to full smile makeovers. We fix broken teeth, provide gentle dental cleanings, and create beautiful smiles with modern cosmetic dentistry. Missing teeth do not mean the end of a comfortable and healthy smile. Dr. Colangelo also provides dental implants and implant-retained dentures to help patients regain their confidence. Welcome to Grapevine Dental! We are the general and cosmetic dentistry practice of Dr. Michael Colangelo. We are so glad you found us and look forward to seeing your smile. We love what we do and it shows in the many rave reviews we receive from our patients. Simply put, we believe our patients deserve the highest level of care at all times, From the simplest filling to full-smile makeovers, you can count on Dr. Colangelo to use his experience, education, and creativity along with the finest dental materials available on the market today to keep your smile looking and feeling great. One of his core values is honest and ethical treatment planning. He will educate you on your conditions, and you can make your treatment choices together with no pressure. We take our time and do things right. You will never feel like you are rushed in and out of our office so we can meet some quota. One of the many benefits of a privately owned dental practice is that your oral health and treatment is a collaboration between you and Dr. Colangelo alone. Have you ever walked into an appointment and felt like a bother? You will never find that here. We love developing long-term relationships with our patients and will be waiting to welcome you to your appointment. Our friendly team holds the highest standards of professionalism while still believing that dentistry can actually be fun and enjoyable. If you are fearful of the dentist, you are our favorite kind of patient! We can’t wait to turn misconceptions about dentistry into positive moments you actually enjoy. Kick back and relax while we take care of you. 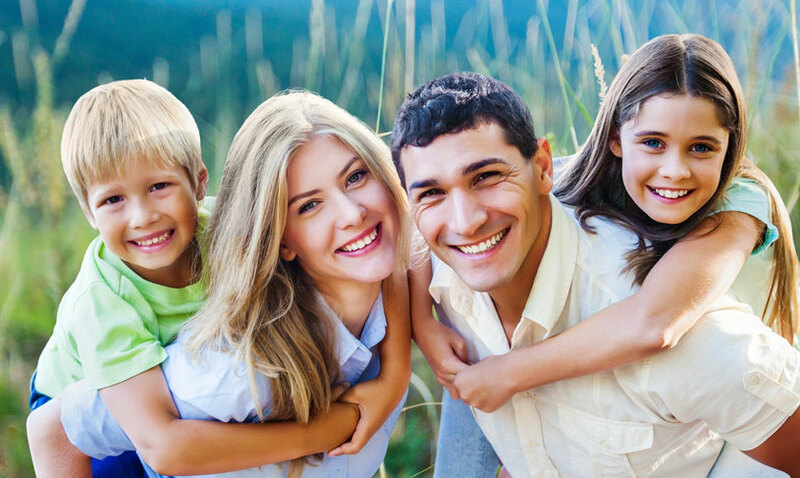 At Grapevine Dental, every patient is treated like family. Each member of our team was hand chosen because of their technical skills, education, experience, and a shared passion for taking care of people and promoting greater wellness with healthy smiles. Why can’t dentistry be easy? Well, at Grapevine Dental, it is! We use some of the latest dental technologies to provide you with outstanding dentistry and greater comfort. We have a digital dental office, meaning your x-rays, records, and impressions are completed using the most recent computerized methods available. We also use digital 3-D imaging to provide greater accuracy when treatment planning. A 3-D image provides Dr. Colangelo with the best information for extractions, dental implant placement, and restorative dentistry to repair broken or decayed teeth. We believe in earning your trust by always protecting your private information. Give us a call to schedule your next dental appointment and discover what a difference the right dental home can make. Welcome!